After a Portland hotel pickup, travel through various parts of 'Rip City' — from downtown to the Pearl District to Nob Hill, plus several other neighborhoods. Visit all the must-see attractions, including Pioneer Courthouse Square, and learn about the great diversity found in Portland’s downtown area, the historical importance it has played in the state’s history, and the fast-growing culture that exists here. Learn about the many prominent and notable citizens of Oregon. 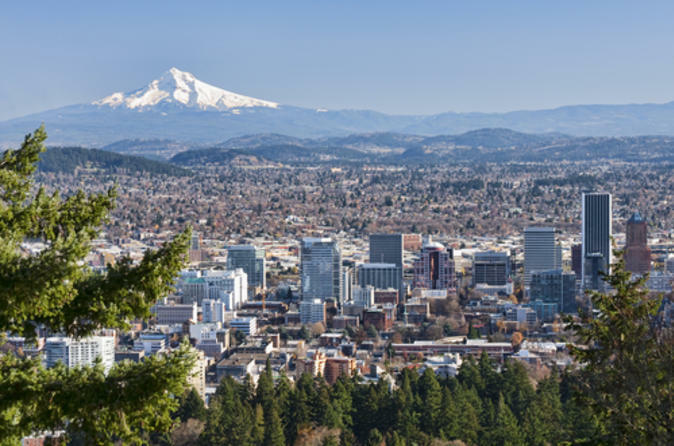 Tour through the Pittock Mansion, a meticulously preserved architectural landmark that symbolizes Portland’s transformation from a small lumber town into a bustling city. While traveling, let the fragrance of more than 550 different varieties of roses delight the senses with the lush and beautiful Washington Park. The last stop is the Lan Su Chinese Garden, one of Portland's greatest treasures and arguably the most interesting site to see while visiting the city. The garden is the result of a collaboration between the cities of Portland and Suzhou, a sister city in China's Jiangsu province that's famous for its beautiful Ming Dynasty gardens. You will have a variety of options to choose from for lunch. Visit the beautiful Columbia River Gorge! Your adventure will take place along the Historic Columbia River National Scenic Byway, where some of the locations we may stop include: Portland Women’s Forum, Crown Point Vista House, Latourell Falls, and Multnomah Falls. Next, we will stop at Crown Visit Point House with a complete overlook of the Gorge region. Crown Point Vista House, best known of the scenic lookouts along the Historic Columbia River Highway, provides a panoramic view of the Columbia River. We may also stop at Bridal Veil Falls. This beautiful waterfall is an elegant and graceful lady that can be fully appreciated from the deck of a viewing platform rebuilt in 1996. Next we will drive to Multnomah Falls. According to Native American lore, Multnomah Falls was created to win the heart of a young princess who wanted a hidden place to bathe. Multnomah Falls is the most visited natural recreation site in the Pacific Northwest!